As we say good-bye to 2015, here is a brief rundown of some of the most important work done at NPSF during the year. We get it. You’re busy. If you work in health care, if you are a family caregiver, if you are a patient dealing with a serious illness, you’ve had plenty of stuff on your to-do list this year. For those who may have missed some of our most notable work, this post on the final day of the year provides a concise list and links for how you can catch up. After all, we’ve got a whole weekend before the first Monday of 2016—use it well. In January, the NPSF Lucian Leape Institute released Shining a Light: Safer Health Care Through Transparency, which calls for sweeping action to increase transparency within and across organizations, between clinicians, and between clinicians and patients. Increased transparency, the report says, will yield broad benefits by promoting accountability; catalyzing improvements in quality and safety; promoting trust and ethical behavior; and facilitating patient choice. We followed this up with a complimentary webcast in February featuring members of the expert panel that produced the report. Download the report or listen to the audio replay. Related to this, we published an Executive Summary of an all-day leadership program held in advance of the NPSF Patient Safety Congress that also focused on transparency. Get the summary here. In March, NPSF hosted a complimentary webcast, Patients and Families as Partners: United in Safety, with staff from Children’s Mercy Hospitals and Clinics. View the slides and listen to the audio here. In April, in the weeks prior to the 2015 NPSF Patient Safety Congress, we announced the recipients of the NPSF DAISY Award for Extraordinary Nurses, the John Q. Sherman Award for Excellence in Patient Engagement, and the Stand Up for Patient Safety Management Award. In June, we released RCA2: Root Cause Analyses and Actions to Prevent Harm. This report (called RCA squared, for short) includes a second A, denoting the importance of taking action to prevent harm from recurring. Download the report and get the webcast slides and audio here. In August, NPSF announced the Journal of Patient Safety as an official journal of NPSF, allowing members of the American Society of Professionals in Patient Safety at NPSF and the Stand Up for Patient Safety program to subscribe to the journal at a reduced rate. Read details here. In September, Modern Healthcare magazine recognized Tejal K. Gandhi, MD, MPH, CPPS, NPSF president and CEO, as one of the 100 most influential people in health care. Read more here. Also in September, we hosted the 8th annual NPSF Lucian Leape Institute Forum & Keynote Dinner. If you missed it, read a recap on the P.S. Blog. In October, we hosted a complimentary webcast based on a new educational module, Patient Blood Management through the Lens of Patient Safety, which was released in September. To listen to the webcast replay and view the slides, or for information about the educational module, click here. Also in October, the number of health professionals holding the Certified Professional in Patient Safety credential passed 1,000. Read the news. In December, NPSF released Free from Harm: Accelerating Patient Safety Improvement Fifteen Years after To Err Is Human. This report calls for the establishment of a total systems approach and a culture of safety, and calls for action by government, regulators, health professionals, and others to place higher priority on patient safety science and implementation. Download the report. Of course, there were a lot of other activities this year, at NPSF and beyond, to help advance patient safety. One thing we know: There is still a lot of work to do. Stick around to take part in what we'll be doing in 2016. What would you pick as the most memorable patient safety developments in 2015? Comment on this post below. Note: to post a comment you must be logged in. Register or log in. Large multidisciplinary conferences offer individuals the opportunity to attend sessions focused toward very specific interests as there are so many topics and perspectives represented. As an attendee of the 2015 NSPF Congress in Austin, I sought to soak up examples demonstrating the intersection of evidence, information, and knowledge (EI&K) with transparency. This strategy fed off of my take on the NPSF Lucian Leape Institute report Shining a Light: Safer Care through Transparency. The authors define transparency as “the free, uninhibited flow of information that is open to the scrutiny of others.” The report calls for a sense of urgency to situate transparency as an integral element of safe care. The idea of a “magic pill” was used to describe its potential. I wanted to gather insights to elucidate how health care organizations could optimize their use of EI&K in their safety work. Information: “Data that is processed and repurposed and printed for distinct use. Knowledge: “What an individual knows [sic].” It is broader deeper and richer than information or data. It is multifaceted, dynamic in nature, context-specific, and embedded in the actions of experts. Its value emerges over time and is influenced by the individual processing it. Building Risk Management/Patient Safety Bridges: This panel presented activities building on a collaborative funded by CRICO Risk Management Foundation (RMF). Representatives from member institutions shared avenues for ambulatory patient safety improvement. The three-year CRICO grant enabled the collective development of initiatives to share learnings, build tools, track improvements, and mitigate risk across 10 organizations representing more than 300 ambulatory sites. Operationalization of a Meaningful Sentinel Event Process: This session featured a University of Michigan Health System effort to change its sentinel event review process and improve patient engagement in the activity. The challenges to achieving this goal were discussed. To further improvement, the organization applied the Plan-Do-Study-Act method to prioritize strategies to enhance patient involvement. The session discussed the use of this rapid cycle improvement tool to improve patient and family communication opportunities after sentinel events making them effective, engaging, and earnest. The risk management in the ambulatory setting panel described collaborative activities that could be enhanced through robust EI&K sharing. Although they didn’t explicitly discuss evidence, their work illustrated how being open and transparent can help teams and organizations recognize a need to access evidence to feed improvement work, to generate interest in doing research, and to fill evidentiary gaps. Organizations can be transparent by facilitating the exchange of information (i.e., educational and communication initiatives) and packaging information so it is useful to staff engaged in improvement initiatives. This collaborative transferred knowledge from one environment to the other by creating a leadership group that was accountable for distributing knowledge. The individuals in the group were explicitly charged with sharing experiences from the risk management collaborative at their own organizations. The local knowledge and status of these champions helped to make the translation of that experience meaningful to their direct peers, who could easily act on the knowledge and apply it in their daily work. The session demonstrated the value of organizational leadership and empowered risk managers to approach adverse event investigations transparently. The sentinel event review process session set the stage for an exploration of evidence use. Though, again, it was not explicitly discussed, I saw that evidence could be used as a foundation for improvement building off of sentinel event reviews. For example, in the case of a wrong-site surgery, the team investigating the sentinel event might choose to inform their Plan-Do-Study-Act work by first conducting a literature review of wrong-site surgery improvement interventions in similar settings. This strategy could illuminate action based on concrete measures of improvement, and also open the door to enhancing transparency through identifying experts who could be contacted to share their experience (i.e., knowledge) via conversation and dialogue. More explicitly, the program discussed the use of an established information tool for patient safety: Joint Commission Sentinel Event Alerts. The speaker reviewed information strategies to highlight new alerts through internal efforts to format the information into assets that are easily usable and distributed. The problems uncovered during the internal review process were then translated for organizational distribution through usable materials such as newsletter articles, graphs, and presentations. The methods described also demonstrated how a culture of knowledge sharing supports a transparent sentinel event review process. The effort to tap into the knowledge of the analysis team and the experiences of those close to the event—including patients and families—helped to generate effective strategies to proactively prevent occurrences of sentinel events. In order for health care professionals to optimize use of EI&K, they need to ask relevant questions about how the three links come together to support transparency, patient safety, and improvement. Evidence, while not discussed explicitly, was an undercurrent of the highlighted programs. How can teams reviewing sentinel events or implementing progressive risk management programs more reliably use evidence? If staff and clinicians aren’t enabled and encouraged to access, read, or apply evidence, can their work be efficient, effective, and safe? Information is the element of EI&K that most of us are apt to use to support transparency on a daily basis. How can organizations use information—like sentinel event alerts or the Institute for Safe Medication Practices newsletters—to respond to risks and generate a sense of urgency for action and enable clinician, leadership, and patient and family engagement in safety improvement? Knowledge as a contributor to safe care is the hardest element of the three to pin down. How do organizations capitalize on the knowledge present in stories, sharing, and discussion, to shape conclusions and next steps after incident analysis to create contextual understanding of factors that could contribute to sentinel events? How does your organization encourage sharing of knowledge in a transparent way? Is your organization taking advantage of evidence, information, and knowledge to help make the magic pill of transparency easier to take? Comment on this post below. Note: to post a comment you must be logged in. Register or log in. Zipperer L, ed. 2014. Patient Safety: Perspectives on Evidence, Information and Knowledge Transfer. London, UK: Gower Publishing. Zipperer L. 2011. Knowledge services. In: The Medical Library Association Guide to Managing Health Care Libraries. Bandy MM, Dudden RF, eds., 2nd Edition. New York: Neal-Schuman, New York. p 302. Lorri Zipperer, MA, is the principal at Zipperer Project Management in Albuquerque, NM, specializing in patient safety and knowledge management efforts and bringing multidisciplinary teams together to envision, design, and implement knowledge sharing initiatives. Poorly designed electronic health record (EHR) systems can lead to user errors or to frustrated users who resort to work-arounds that further erode patient safety. The National Institute of Standards and Technology (NIST) recently conducted research into the usability of EHRs and has issued guidelines for usability testing and standardization to enhance safety. The guidelines are targeted at preventing ‘never events’ and associated patient harm by proactively addressing and mitigating the root causes of errors linked to EHR design and implementation elements. The P.S. Blog talked with lead author Lana Lowry, of the NIST Information Technology Laboratory, to learn more about the new guidelines. P.S. Blog: What are the chief recommendations of the NIST report? Consistently displaying information critical to patient identification in a reserved area to avoid wrong-patient errors. Providing visual cues to reduce risks of entering information and writing orders in the wrong patient’s chart. Supporting efficient and easy identification of inaccurate, outdated, or inappropriate items in lists of grouped information by having information presented simply and in a well-organized manner. P.S. Blog: Were there any surprises in what the investigators found during this work? LL: There were several consistent themes across the data, and much of the findings are not surprising. However the consistent reporting of issues is something to take note of, and these issues were easy to understand. The EHR must be trustworthy in its content, consistent in display of critical information, and by design must make it difficult for the user to make a mistake by writing in the wrong chart. P.S. Blog: How do you hope health care professionals, health IT vendors, or others will use these guidelines? LL: The purpose of this work is to improve safety for patients by enhancing safety-related usability of the electronic record. Hopefully the use-cases developed by NIST will be used to test and improve existing electronic records, and our standardization guidelines will be applied to design safer systems. The NIST report, Technical Evaluation, Testing, and Validation of the Usability of Electronic Health Records: Empirically Based Use Cases for Validating Safety Enhanced Usability and Guidelines for Standardization, is available for download at no charge on the National Institute of Standards and Technology website at http://nvlpubs.nist.gov/nistpubs/ir/2015/NIST.IR.7804-1.pdf. The Healthcare Adventures Graphic Gameplan for Patient Safety is a new tool created to engage leaders and frontline staff in discussing patient safety and quality challenges and setting a path for improvement. Developed by a group of researchers and practitioners in patient safety, organizational behavior, and human development, the Graphic Gameplan utilizes components developed by Grove Consultants International that have been used successfully to drive improvement in other industries. The P.S. Blog sat down with researchers/practitioners Jay W. Vogt, MA; Michael Sales, EdD; and Sara J. Singer, MBA, PhD, to talk about this new tool and the free Facilitator’s Guide they developed (with Jeffrey B. Cooper, PhD) to help people use the tool. This interview has been edited and condensed. P.S.Blog: You mention that the Graphic Gameplan has been used for improvement work in other industries. How did you come to adapt it for use in health care quality improvement and patient safety projects? Jay Vogt: We were working with the patient safety leadership culture model that Dr. Singer put together. We wanted a means of allowing front-line workers, quality improvement practitioners, and leaders to interact with real patient safety challenges in a way that expressed the insight that came from that model. The Graphic Gameplan is the answer we came up with to do that. It’s highly visual, so it is, therefore, a very good tool for using with visual learners. If people are just talking, they are not tapping into their exceptional visual processing capabilities. Its visual nature is engaging. It functions as group memory; you’re writing things down, but in a certain way, in a certain place, so that you are building a story, building an argument, and mapping out a project. In this case, the elements were tailored for our model, so we came up with a template to hand over to people so they could let those questions guide their conversations. It’s a template; people don’t have to wonder, “How do I approach this?” It’s already laid out for them. If you are asking these questions, you’ve got an evidence-based model behind you, and you’ll be doing fine. My experience with the tool is that it is fun and fast. That was important to us. We wanted something effective but highly engaging and enjoyable. P.S. Blog: Can you tell us a bit more about the Patient Safety Leadership Culture Model? that support a culture devoted to patient safety. Michael Sales: The model is a description of leadership values, attitudes, and behaviors that combine into organizational performance where patient safety is a top priority. It informs habitual practice throughout the team or the organization that is using this model to focus attention and improve performance. Each of the components contributes to a leadership culture that is constantly and consistently supportive of patient safety. P.S. Blog: Can you summarize the model—why are these behaviors so important to organizational learning and improving? MS: The basic idea is that, if you have a cadre of leadership engaged in the model’s seven practices, you have people who are engaged in an automatic, habitual fashion in learning behaviors that contribute to a patient safety culture, and to high performance and probably other positive outcomes as well. The seven elements of the patient safety leadership culture are, first, that the leadership group really cares about patient safety. Leaders place an emphasis on patient safety that leaves no doubt in anyone’s mind that it is a primary concern and a priority of organizational leadership. If there is a safety issue, the organizational team leadership gets personally involved in understanding the issue, in learning about the problem and the systemic issues responsible for the issue or problem that has shown up. The leadership group is expending its resources and political capital within the team and within the organization more generally, and its human energy, to make sure that patient safety becomes and remains everyone’s concern. JV: My view of “really cares” is that it is the uber attribute; everything else falls underneath that. MS: It’s the overarching value out of which all the other actions fall. The second element is having a welcoming, nondefensive attitude among leaders toward patient safety questions. Leaders need to take a stance actively toward learning and away from blaming. If something is happening that is a patient safety issue, especially if part of a pattern, it’s very likely not the fault of a particular individual, even if that individual is reproducing the problem. It’s probably systemic. Leaders who are curious and encouraging of reflection and discussion of patient safety—even when it’s challenging to remain in that stance—demonstrate that is psychologically safe to engage in collective learning. That’s a big deal. When it’s a patient safety matter, people are understandably anxious about what’s going to happen in a discussion about it. How is my boss going to react, for example. It’s the responsibility of leadership to make it easy by not being defensive in that way. JV: Through my affiliation with Partners HealthCare, I was able to visit the Middle East, and when we talked about this kind of thing over there, where many of the doctors are contractors from other countries, we learned that if people made a mistake, their contract would be terminated and they’d be sent home. It was a culture of mistake equals blame equals termination. The American health care system may not actually be that far from that, but it was shocking to see it laid out so plainly. So of course, in that culture, everyone hid errors. It was an egregious example of what we see in our own institutions. MS: The third element is encouraging speaking up. Many people are intimidated by the hierarchical conditions that exist in hospitals and health care arenas. They don’t want to get other people in trouble and are reluctant to do things that look like they are criticizing their bosses. They don’t want to get themselves in trouble. That’s a problem when patient safety issues are avoided or not probed. A patient safety leadership culture encourages speaking up by using true inquiry, not “gotcha” questions that are intended get people punished, but questions that are really intended to get at what’s going on and what we can do about it. Leaders who demonstrate their appreciation for input by thanking people for bringing up matters that are uncomfortable tend to get a lot of a repeat business for that type of openness. Their active probing and support makes patient safety problem identification and analysis safe to do. The leader who is noticing somebody who is reluctant to go into detail about something that happened can encourage that person to speak up. JV: We’ve worked with a prominent malpractice insurance company. They have a running record of every malpractice event or medical incident in their insured hospitals and, in a majority of those incidents, when they go back and do the deconstruction, they find that it wasn’t a technical error, per se, but a communication breakdown. Someone in the team knew a mistake was going to happen, or saw it happening, and didn’t speak up. So this communication phenomenon is widely documented and very difficult to break. MS: The fourth element is facilitates communication. That means that by creating structures and processes that make patient safety analysis and action planning part of the everyday routine for the organization, it instills the habit of patient safety orientation. Some of the things we’ve seen that make this happen are daily huddles; timeouts before implementing key changes, and reflection on results in a timeframe that is close to the event itself. Item five is takes action. This means doing something smart, proactive, and systemic around patient safety, even when you feel like you don’t have adequate resources to do all the things you want to do. Finding a way to move forward on patient safety regardless of the situation you are in, demonstrating it is always a priority, in flush and in spare times. A patient safety leadership culture shows we can make something happen. The reason I point out the resource thing is that, for a lot of people, the first thing they will start talking about is “We need more funds.” Everybody needs more funds for everything. But you’re always in a position to do something to improve the situation you are in. That’s kind of the orientation of being a leader in patient safety. P.S. Blog: That one did intrigue me. Because people are juggling so much already. It may not be money, but people and time in the day. MS: Right, many things are suboptimal, but the overall effort and a continuous effort in the face of constraint still produces positive results. I recall Viktor Frankl, a psychiatrist who was a prisoner during the Holocaust. He developed “logotherapy,” an existential psychology that emphasized the importance of infusing your life with meaning regardless of the limitations present in a situation, even if it’s your last day. You’re still a human being, you can still do things. That’s a leadership attitude that’s proactive. Mobilizes information is the sixth element. Leaders must institute and monitor the structures and processes needed to document, interpret, and disseminate knowledge. 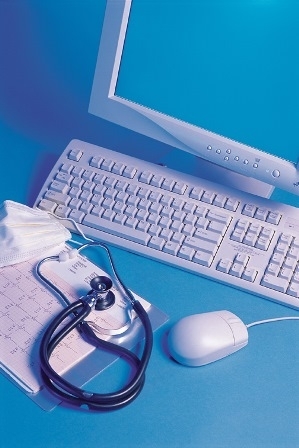 An example is making sure that a particular article, or set of performance data, is distributed and discussed by members of the health care team. Making sure patient safety information, both local information and more general information, is in wide circulation in the organization. The seventh element is seeking input. Leadership of an organization or a team is frequently in a better position to reach across disciplines, work units, shifts and other organizational boundaries to obtain needed information and political support to effect necessary changes and ensure that information and skills flow as needed to where they are needed. JV: The fifth, sixth, and seventh elements are the primary focus of the Graphic Gameplan. They are the hard skills. But while the Gameplan is being discussed, two, three, and four are all kind of in the process. The conversation content focuses on action, information, and input, but the process objectives for welcoming, encouraging speaking up, and facilitating communication can happen while that content is being generated. Second, we’ve learned, just from facilitating a lot of these, that leaders typically start with a bias for action, they want to do something, they want to show they care and get a result, and that’s great. What we often find are rich, surprising conversations around information and input. They aren’t really thinking, “How will we measure this? Where does the information exist? Who has access to this information?” They aren’t necessarily thinking about information as an asset. Leaders see things from above, and they want to dive right in. The idea here is “go slow to go fast.” Take the time to solicit the input form the orderlies who deliver the carts or the night shift or others who have things to add, and do it in a structured way. That is often an “A-ha” for them; they see there can be so many different parts of the puzzle that bring either a new perspective or new information, before we start thinking about actions. P.S. Blog: How do you see the Graphic Gameplan being used in practice? Who is the primary audience for the facilitator’s guide? JV: If you think about health care entities as systems, there are people at the top who have problems brought to them or go looking for them. They are the executives and they perform executive functions. At a minimum, we want them to be aware of the Gameplan because it’s such a fast and efficient tool for mapping out projects. We’d love to have leaders see it as a valuable resource to them that allows them to engage, but also to learn. I think of the executive as a participant in the room with a point of view. The person who is facilitating would more likely be a quality improvement specialist or patient safety specialist, probably an internal resource, who thinks about project management a lot and is used to convening groups of people and would be willing to step up and perform that role. People on the team might be front line clinical people from a range of different levels and functions. This tool has the potential to engage people at the top, middle, and bottom of an organization. The senior leader would authorize it and be the executive sponsor. The QI or PS practitioner would be doing the actual facilitation. Clinical people would make up most of the team. The first part of the facilitator’s guide is the theory, which might be more useful for the executive, and the second part is the how to, so more for the hands-on facilitator. MS: The leverage that the Gameplan gives executives to make a handoff and delegate patient safety challenges to teams—and be in a position to monitor what the team that received the road map is going to do with it—is a powerful intervention, because leaders have not had to invest a lot to keep track of a great deal. They will know that the things teams are working on are part of a map that the leadership understands, values, and approves. P.S. Blog: Are QI and patient safety projects doomed if the leaders of an organization don’t embrace these behaviors? Or can significant change and improvement still succeed at the unit or department level? Sara Singer: Doomed is a strong word, so I wouldn’t say doomed. But one of the most consistent findings in the literature on implementation in general and quality improvement/patient safety implementation in particular is that leadership engagement and support are critical to the success of QI and patient safety projects. Leaders do critical things. They signal to the staff what’s important, so they can get everyone pulling in the same direction. They can smooth paths that need smoothing, open doors that need opening, and garner and allocate resources where required. It can be really hard to make significant change without these factors. MS: You can make things happen as a mid-level manager even without support of leadership. Not as easily, but you can do it. First, they must exercise as much responsibility for quality as they possibly can. Patient safety issues are going to crop up in health care institutions with great regularity. If they aren’t addressed, they are going to get messy for patients, staff, the organization, and families who care about what’s happening. The more mid-managers are able to anticipate problems and take care of them before they happen, the more they are going to be able to influence leaders to move toward a positive safety stance as well. Even if patient safety is not as high a leadership priority as other responsibilities, they recognize that mistakes are made, and they’ll be grateful. Mid-level managers tend to have more authority and responsibility than they think they do. Getting fired for trying to do the right thing is more rare than people believe. Try to expand your authority! If you’ve overstepped your bounds to save a patient or patients from error, ask for forgiveness in overstepping the bounds, rather than permission to do it. If you’ve avoided a preventable error, it will be difficult for a superior to retaliate because you’ve done the right thing. Another thing you can do is take the blame for a patient safety problem that you didn’t really cause. That will feel lousy, but it could potentially empower you in future situations. A nonperforming leader who doesn’t give support, will know at some level that they are the ones that are responsible, and not the mid-level manager. They owe you. Even if they don’t, then the leaders who are aligned with patient safety will appreciate that you took one for the team and that you are part of the mix to make patient safety more of a priority than it is in a particular organization. Finally, I’d say, learn how to be a coach and a facilitator. The organizational leader may not be making patient safety a priority, but they have to be responsive to input from others in the organizations or take the consequences for not being responsive. The middle level manager who can facilitate communication between folks, including his or her superiors, regarding patient safety, will likely be called upon to provide counsel in a range of issues. P.S. Blog: How do you see the Graphic Gameplan as a complement to Lean, Six Sigma, or Plan-Do-Study-Act processes? SS: The Graphic Gameplan can be a helpful complement to these other methods by helping leaders understand how they can engage and support quality improvement or patient safety initiatives. For example, say a unit wants to improve the way it hands off information with another unit. The Gameplan provides a structure to help unit leaders consider bigger picture questions about how to get this done. What exactly are the outcomes we’re trying to achieve? Who is on the team to make this happen? What factors might support or restrain this initiative? How do we access the supports and mitigate the restraints? Who needs to take what leadership actions to enable this work to move forward? What information is needed? And whose input is vital to seek? A unit might employ PDSAs, for example, to test small changes, but the Gameplan lays out how do we know when the PDSAs have reached our goal, who decides which PDSAs to pursue, what or who is likely to promote or undermine the test, and what do the leaders need to do to facilitate the process? If used well, the Gameplan could be highly synergistic with these process improvement methods, and together they likely have a higher potential for achieving their goal. P.S. Blog: What else should we know about the Graphic Gameplan? JV: One thing I’d add is, in the facilitator’s guide, we lay out how you can do this over 2 hours or over 3 hours. In theory you might be able to bang it out in just an hour. We want people to feel this is a highly leveraged commitment of time to learn this tool. And lastly, all this work is evidence based. The bibliography cites numerous peer-reviewed articles featuring this work. MS: This is a way for leaders and facilitators to start to exercise the patient safety planning muscles, and once you start using muscles that are there but haven’t been activated, it gets easier and easier. Leaders are able to use this relatively brief process to get things started, and it becomes a positive feedback loop, because it becomes easier to do, as you’re using a tool you become familiar with and can adapt to fit the context of your own organization. Download a free copy of the Healthcare Adventures Graphic Gameplan for Patient Safety Facilitator’s Guide. Research conducted over the past few decades has shed light on the risks of blood transfusions. Patient blood management utilizes multidisciplinary and multimodality measures to decrease the need for blood transfusions to achieve the best outcomes. transfusions remains a challenge. In fact, research conducted over the past few decades has shed light on the risks of blood transfusions, with findings suggesting that more restrictive transfusion strategies are safe for most patient populations. So how do we achieve safer use of blood and blood products? By addressing these areas, clinicians can select the treatment that is most likely to provide greater benefit than risk and is more likely to bring the best outcome to the patient. The cornerstones of a successful patient blood management (PBM) program are the implementation of evidence-based transfusion guidelines to reduce variability in transfusion practice, staff education, and implementation of a variety of clinical strategies. PBM strategies can be implemented at every stage of care for both surgical and nonsurgical patients. Yet it is critical that health systems provide physician and nurse education when implementing a PBM program. Having a multidisciplinary team involved in the development and implementation of a PBM program is really essential. In an effort to address the need for education in this area, the National Patient Safety Foundation recently released an online educational module, Patient Blood Management through the Lens of Patient Safety. Developed by a distinguished panel of experts in the field and rigorously reviewed by a separate independent panel, the module consists of a monograph and five video lectures, enabling learners to review the material at their own pace. Haemonetics, an international company specializing in products and services related to blood management, provided an educational grant to support the development of Patient Blood Management through the Lens of Patient Safety. On October 21, from 4:00 to 5:00 pm Eastern Time, NPSF is offering a webcast on this topic featuring members of the expert panel that developed the content. This webcast is being offered free of charge, thanks to underwriting from Haemonetics, but registration is required. Registration will open soon. Visit the web page. Do you have a PBM program at your organization? Comment on this post below. Note: to post a comment you must be logged in. Register or log in. About the Author: Caitlin Lorincz, MA, MS is senior director, programs, at the National Patient Safety Foundation and a contributing author of Patient Blood Management through the Lens of Patient Safety. Contact her at clorincz@npsf.org.